The new iPhone has leaked in a photo showing off what's claimed to be the 6.1-inch LCD affordable iPhone, yet despite the new low price it looks good. Alright, from behind. Still it's shiny a new so that's good, right? What's claimed to be the new iPhone X has been shown off in a photo displaying the handset from the rear, on slashleaks. The ever reliable source of leaks shows the phone resting on a stand with the picture being taken from below facing up to the high, factory-like ceiling. It appears the phone has hurriedly been slid off the surface it's on, collecting up that dusty residue that covers the lens – all suggesting this was indeed taken secretly inside an iPhone manufacturing plant. Or that we've been looking at this photo for way too long. From the back you can see that large single lens camera which has already been rumoured to appear on this model. That should help make it more affordable than the multi-lens higher end 2018 iPhone X style phones. 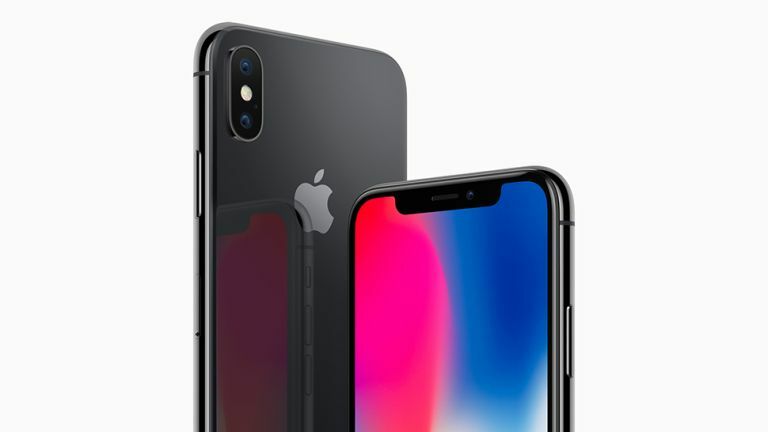 The shiny black finish and metallic Apple logo along with the slightly rounded edges remind us of the original iPhone. Let's hope this isn't quite so thick. Apple is expected to release three new iPhones in 2018 all with the notch display of the iPhone X. There should be a 5.8-inch OLED iPhone X refresh, this new 6.1-inch LCD affordable iPhone and a larger flagship 6.5-inch OLED iPhone X Plus. Expect to see them all officially launched in September.